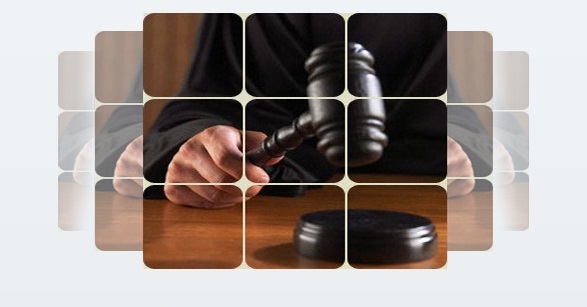 A study prepared by IHQAQ law firm showed that there are many of legislations, international collective agreements and bilateral international agreements that control and regulate the execution of judicial judgments issued by non-Jordanian courts in Jordan. 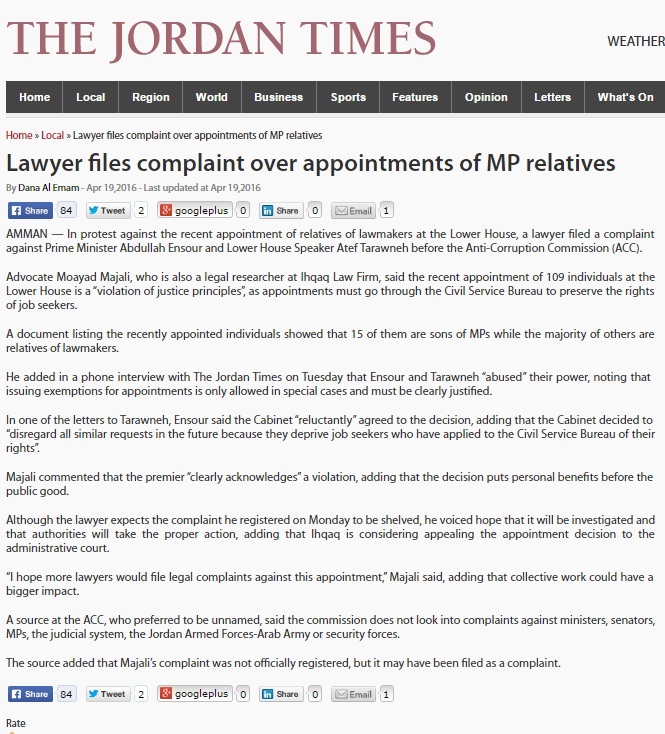 Also control and regulate the execution of judicial judgments issued by Jordanian courts in the foreign countries. Every ruling issued by a court outside the Hashemite kingdom of Jordan (including the Religious courts) in respect of juristic proceedings, requires the payment of certain sum of money or adjudge transfer of title of a movable thing or the settlement of account , which includes the arbitrators’ decision in the arbitration proceedings if that decision has become as the applicable law in the country where the arbitration was enforceable as a decision issued by the court in the mentioned state). In accordance with this law, its permissive to execute a foreign judgment in the Hashemite kingdom of Jordan by brining of a lawsuit at the First Instance Courts, where bringing the suit to execute the foreign judgment by submitting a summon to a court in the judgment debtor’s domicile is territorially competent, and if he has no domicile in Jordan, the action may be brought where his property can be levied upon. In accordance with this law, the prevailing party must bring out two authorized copies of the foreign judgment, these copies must be annexed to the statement of claim: One to be kept in the official file of the court, and the other to be sent to the judgment debtor. If the judgment was rendered in a foreign language, an Arabic translation copy should also be annexed thereto. In accordance with this law, the execution of the judgments issued by execution act of foreign judgments treated similarly to the execution of judgments issued by the courts of the Hashemite Kingdom of Jordan. A) If the court which issued that judgment not incumbent. B) If the judgment debtor had not dealt with business in the area in which the court had jurisdiction and he had not his domicile therein, and he had not admitted the jurisdiction of the court and he had not appeared before it by his choice. C) If the judgment debtor has not served with a notice for appearing from the court which issued the judgment and he had not appear before it although he has his domicile therein or he dealt with business in the area which the court had jurisdiction . D) If the foreign judgment rendered as a result of fraud . E) If the judgment debtor persuaded the court that the judgment didn’t acquire the segmental form . F) If the judgment was due to lawsuit not acceptable at the courts of Hashemite kingdom of Jordan because it against public orders or morals . In accordance with this law, the Jordanian courts may reject any submitted request for execute the judgment issued by any court in a country doesn’t allow execute the judgments issued by the Jordan courts according to its law. Approved by the Arab Justice Ministers Council in its decision No.1 on the 4th of June 1983 in their first ordinary session course . The agreement was signed on the 4thof June 1983 “Riyadh” by all member states except ( The Arab Republic of Egypt , The Federal Islamic Republic of Comoros ) . In accordance with article 72 the present agreement shall replace in respect of states which have ratified it, the three agreements concluded in 1952 within the framework of the League of Arab States in force at present and pertaining to judicial notification and procuration , execution of penalties and extradition of criminals. Article 69 of Riyadh Arab agreement for judicial cooperation has been amended . Signed in 1983 under its decision (No.258) on the 26thof November 1997 in its thirteenth ordinary session course . This convention shall not prejudice the specific agreements between some member states and in a case of conflict between provisions of this agreement and provisions of any special agreement shall applied the agreement which is the most achievement of extradition of accused and sentenced and achieving security and judicial cooperation in other sectors . Execution date : this amendment shall enter into force after thirty days from the date of deposit the ratification documents on it or accepted or approval from one-third of the Arab League member states . Jordan has ratified this convention and its amendments by the virtue of (the ratification law of the Riyadh Arab agreement for judicial cooperation and its amendments (No. 2) of 2001). A Royal Decree was issued approving the Council of Ministers decision (No.1196) on the 17thof May 1972 containing the approval of the accession of Jordan to the settlement of investment disputes between states and nationals of other states agreement , authorizing the Jordanian ambassador in Washington to sign it on behalf of the government . Published in the Official Gazette (No.5337) on the 16thof April 2015.